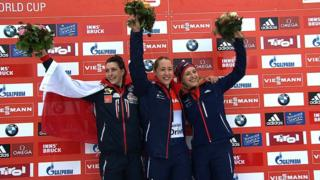 Britain's Lizzy Yarnold wins the European skeleton Championship in Igls, Austria, a day after winning the World Cup event at the same track. The event, postponed last week due to weather conditions, had been a "huge goal" for Yarnold this season. Another of the Briton's targets is the World Championships which takes place in Winterberg, Germany March 6.